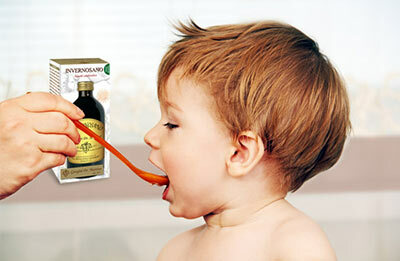 Dr Giorgini food supplements can also be used by children, unless otherwise specified in the product warnings. To calculate the correct amount to be administered, simply multiply the dose that is indicated on the package by the number of years of age of the child and then divide the amount obtained by 15 (empirical method taken from: Medicamenta, guida teorico-pratica per sanitari, VI edizione, Cooperativa farmaceutica, Milano). To facilitate the intake of tablets by children, you can crush them and mix them in juice, yoghurt and other drinks. To calculate the dose for children, the same rule as for tablets applies. To take liquid products you can use a dropper or a graduated measuring cup (almost always included in the package), bearing in mind that 1 ml equals about 12 drops. Even liquids can be diluted and sweetened to taste. For products containing vitamins or minerals you may want to verify that the dose calculated empirically does not include a larger amount of the LARN (Recommended intake levels of nutrients) specific to the child's age (see table on the attached file). Most of Dr Giorgini food supplements are not sweetened, to leave consumers free to add the sweetener they prefer (sugar, honey, natural sweeteners etc.) and in the doses that they consider most appropriate.